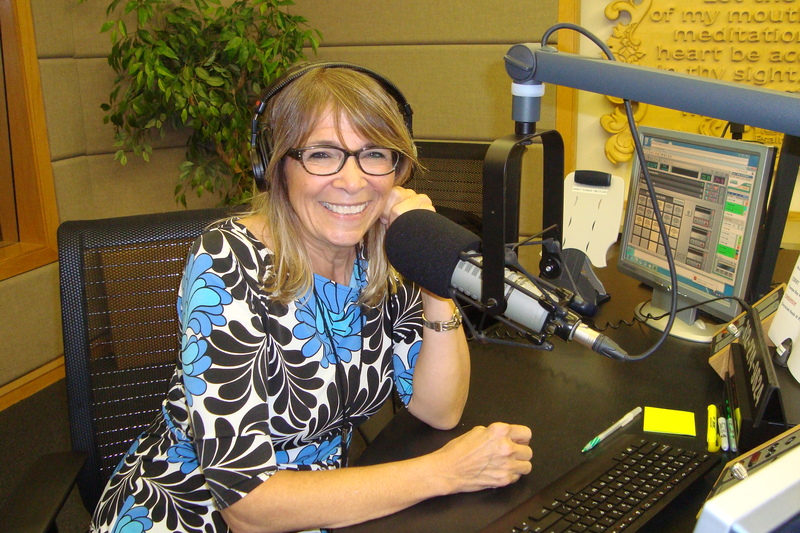 Nancy is host of the program This is the Day at Moody Radio in Chicago, Illinois (USA). She also hosts Music for Sunday and the Praise and Worship Channel streaming on the Internet. Nancy was born in Mishawaka, Indiana but grew up in Michigan. She began her radio career at early age while she was in high school, producing and hosting a program on the local radio station. After graduating from high school, she pursued studies on broadcasting. Nancy has worked at many stations in Michigan and Illinois. She has helped host the Muscular Dystrophy Telethon on WGN-TV, fund-raising efforts on WTTW-TV in Chicago and the Country Music Today program on local Chicago television. Nancy has a college aged daughter, Molly. Nancy loves experiencing the outdoors as it reminds her of her unforgettable childhood. Let me begin by asking you to introduce yourself so our readers can get to know you better. Who is Nancy Turner? Well, I’m Nancy and I grew up in Michigan in the United States of America. I grew up in the country and lived in a place where I could run wild outdoors and play in the woods, in the creeks and all of that, and had no idea I would ever be used by God in a place like this. I don’t deserve it, but God’s grace has given me this opportunity to do this, and I’m thankful to Him, and every single day, every single day I say, “Lord Jesus, may You use me to bring people to you who would know your grace and your saving, saving love. So you are a Christian? Oh, yes, yes. But my turn to Christianity didn’t happen suddenly with a brilliant light of illumination. My time of becoming a Christian has been a gentle, long revealing of God in my life. I learned what it meant to be a Christian when I went to a big church here near Chicago called Willow Creek and I learned that what it meant to be a Christian was to be a Christ-follower. I think many of us don’t know that. We think we’re Christians because we know about the Bible and we believe in God, or we think we’re Christian because we go to church or we do nice things for people. But to be a follower of Jesus means that we give up ourselves. We give up who we are and we become wanting to serve Him and be like Him. We give up our agenda of what our life can be and relinquish it so that it becomes what He wants it to be. Does that make sense? Yes, yes! And I think we will get back to this point a little later. Now could you tell us about your professional background? Well, I started in radio when I was in high school in a local radio station. I was a Junior in high school. In 11th grade and 12th grade I worked at the local radio station where we produced our own program and did all that stuff. That’s where I first realized that I liked it, but it wasn’t until several years later after I graduated from high school that a gentleman who I was selling newspaper advertising to as a profession suggested that I go and speak to the local radio station, and so they interviewed me. I’d never had a professional job in radio, but they decided to let me sell advertising and gave me a one-hour program once a day, and that’s where it began for me. That was probably in 1969. So for that many years God has given me the opportunity to be in radio, but not always Christian radio. So along that line, tell us a little bit about how you found your passion for media and why you decided to get involved in TV and radio, because I think you were also involved in TV, right? Yes, I did some television. I’m basically a shy person and I don’t like to get up in front of people, so if you ask me to stand up and speak in front of a room of two people or two hundred, I will be equally as nervous about that. But to get up on television or to do radio where I will be seen by thousands and thousands of people or be heard by millions of people does not bother me. Somehow that is just God’s grace, I guess. I felt that God opened doors along the way when I didn’t even know Him and gave me the opportunity to grow sort of behind the scenes to bring me to a place where I would say, “I don’t want anything of my radio career to diminish God.” So as I was going along in my secular career, which was country music for many, many years, I still would say at the beginning of each of my programs, “This is the day the Lord has made. Let us rejoice and be glad in it.” And I thank God that the program directors at the secular stations were ok with that. I’m not sure that that would be ok these days, sadly, with the way Christianity is being treated. But even in the times that I worked in secular radio in country music, I would listen to Christian radio and just say, “God, I wish I could be there.” But I was earning a lot of money in secular radio –lots of money! To come to Christian radio meant very little money, but somehow that didn’t bother me, and I said, “God, if You will open the door, I will go.” So it took many years of me hoping and praying for that, and eventually one day I was granted an interview here at this radio station, Moody Radio WMBI in Chicago, that gave me the opportunity and they gave me the program to start one day a week. So here I am. I’m still doing it and I praise God for it. You are currently involved in Christian radio production. Tell us how can radio production be a channel for the transformation of lives, either for Christian believers or even for followers of other religions or beliefs? Radio is amazing, because it comes into your home wherever you are, and you can privately take in the message. You can bring it into your heart as God would have it, as you listen. So I think the music and the words that I can say or any speaker can say on the radio is a private moment with somebody, whether they’re in their kitchen or their automobile or their home or their workplace or they’re walking with a device that they can listen to in their ear, it’s a conversation that is private. And I believe that can lead to so much transformation. I’ve had so much e-mail and regular mail from people who have said, “I heard that song and it really changed my perspective. I heard that guest you had on and what they had to say changed the way I looked at life and suddenly I found hope.” There have even been people who through many years here at Moody Radio -you could learn about that from many other people who have worked here much longer than me- where people have been contemplating suicide and have stopped that process because they heard a message of hope for their life. Marriages have been saved because people have heard that Christ can restore their marriage if they will trust in Him instead of trusting in their own way to save their marriage. Christ can actually come between two people who are finding it difficult to relate and communicate and to know each other. Christ can get in the middle supernaturally, if I can use that word. The Holy Spirit can change people’s hearts, when people commit to Christ, He’s in between the two people, and then all the conflict goes through Him first before it comes back and they can resolve their problems in their marriage and in their relationships. Now, for you and me, Jesus, the Way, the Truth and the Life is the God who can positively transform the life of every single human being who is willing to be changed and molded. But for those who are probably reading about Him for the first time now, who is this God, who is this Jesus that has such power? What would you say to them? I would say all truth comes from God. All truth! And if you want to know what truth is, seek it. You’re a smart person. You who are reading this are wise, right? You’re smart, you would check things out. The person who’s reading this right now, you would say, “Ok, I don’t fall for just anything. I’m smart. I check things out.” So if that is you, and you’re a person who wants to know truth and not labor under delusion, not labor under the false teaching of any kind, not be led astray or be following some kind of teaching that you never checked out, you would check it out! Well, check out Scripture! Go to the Bible. Read it. In fact, if you really want to find truth, say, “God, if You are real; God, if You exist; God, if you care about me; God, if these claims in this Bible are true, would You reveal it to me?” Now if you can do that with an open heart and with a mind that says, “I am seeking, reveal Yourself to me,” God will. It may not be right away, but it will happen, because He longs for you to know Him and to know His joy and to know His contentment and to live your life in a way that will give you what you seek. What do you seek? You seek to know peace and you seek to know love and to know that you are unconditionally loved and that your life has a meaning, a reason, a purpose. There’s a reason for your life. You want to at the end of your life know no regrets. I lived a good life, but what was the purpose of it? What did any of it matter? Check out what the Bible has to say. Let God into your heart. Ask Him. Just say, “God, if You’re real, show Yourself to me.” I’ve heard this story many times, and I know the answer. The answer is always, “God does,” and your life will be changed forever, and you’ll never regret that you made that step. I’m sure you have experienced many anecdotes as radio producer and host, or you have learned many great lessons that have impacted your life dramatically. Could you share with us any of those? Many. Literally, on my program, almost every night I have one or two books I must read by fantastic authors. I’ve met speakers, I’ve met children, I’ve met missionaries, I’ve met people who just live an ordinary life, but their lives speak God! Their lives are the ones that show Christ’s hands and feet, that He’s real, because they live it out. So if I were to pick one, I mean it would be very hard for me to pick one. But, what I want to share with you is the reality of when we walk through the hard times of our lives, and we all will, because that is the place where God reaches us. That is where the real fruit comes when we walk through difficult times. Recently, I’ve been reading a book that I love. It’s called Night Shift and the author’s name is Dave Shive. It’s an old book, and it was given to me by a friend who knew that I was walking through a difficult time. When you think about the workers who trudge into the dark place of the night shift, and maybe you yourself today are in one of those times where you are praying to God but He doesn’t give you what you’re seeking, you want out of this terrible situation. You want it to change. You want out of the desperateness of the situation, and you pray. And you might pray for days and months and years, and yet God does not change the situation, but what He’s doing is changing you. He’s changing you; He’s changing me. He changed me in my night shift. There are seasons of it. There’s rotation of the shift. You’ll go back into the night shift again and He’ll teach you more and He’ll say, “Let go. With your little grubby hand, let go of what you’re hanging onto, because what you’re hanging onto is something that’s taking you away from Me. Let go of that idol. Let go of that thing that you think is going to make your life wonderful. Let go! Let Me have it and I’m going to take you to places that you cannot imagine in your wildest imagination! I’m going to take you there, but you have to let go.” And then in that night shift, you’re praying and then eventually He says, “You’re ready. I’m going to take you out into the light, and you have a message now.” You didn’t have the message before. You have a message now. Bring that message that you learned in the night shift, bring it to the day shift where there is sunlight. But then there’s going to come a time again. You need a new message. He’s going to send you back, but He’s going to take you there, and you’re going to know it and you’re going to be faithful during it, and you’re going to come out with another wonderful message. So this is what I’m learning now about the hard periods of life. Finally, I listened to one of your programs and one of your guests, Bob Moeller, who said we are still accountable for how we live our lives as believers…and I would say for everyone in this world, how much does this have to do with living a fulfilled life, living a life towards excellence? I’m so glad you mentioned that name, because I was going to say that name as somebody who has made a great difference in my life. Dr. and Pastor Bob Moeller. Yes, he said that, -and Dr. Erwin Lutzer from here at the Moody Bible Institute in fact wrote a book about this as well- that we will be accountable at the judgment seat in front of God for what we did and what we didn’t do. So I guess the question that I would ask you to consider today is what is the motivation in your heart? God knows your heart. What is the motivation there? And out of that motivation, are you living out those acts that your heart is telling you are right through Christ? It’s not going to be like the person who creates a great beauty in this world but falls away to sin or the person who kills somebody. We’re not all going to be the same at the judgment seat. God is going to look at us and say, “Ok, you did come to me. You did ask forgiveness. I can accept you into Heaven.” But it’s not going to be the same as that person who lived a faithful and true life through the good motivation of their heart. We will be accountable for our lives to our Father God in Heaven. And so I would just encourage you today to take the step to read your Bible and ask God to meet you there and seek truth. Seek truth and God will honor that, and you will find the wisdom that God talks about in Scripture. “Seek ye first the kingdom of God and wisdom will be granted unto you.” So God bless you! Hi very nice and interesting interview. Thank you for sharing your heart with us! What a great message that encourages us to show Christ in all we do!